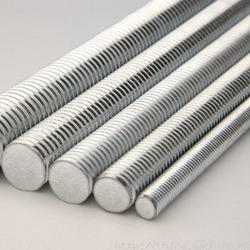 Leading Exporter of threaded rods and steel threaded rod from Mumbai. Threaded Rods are manufactured with threads throughout their length up to a maximum length of 3 meters. 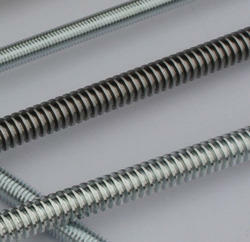 These rods are highly robust, resistant to corrosion and are made from materials of the highest quality and standard. All types of standard and custom made sizes are available as per client needs ranging from 12mm-42mm dia. ACME -4,5,6 tpi. These rods are mainly used in construction of towers, high rise buildings, skyscrapers etc. We have the ability custom develop these threaded steel rod as per the definite requirements of our customers.